The DFP-H02 is a highly cost-effective way to provide full automation capability on a room by room basis. With integrated motion, light level, temperature and humidity sensors, 2x digital inputs and the capability to control upto 4 power circuits, the DFP-H02 is ready to automate heating and lighting as well as provide sophisticated security functions. 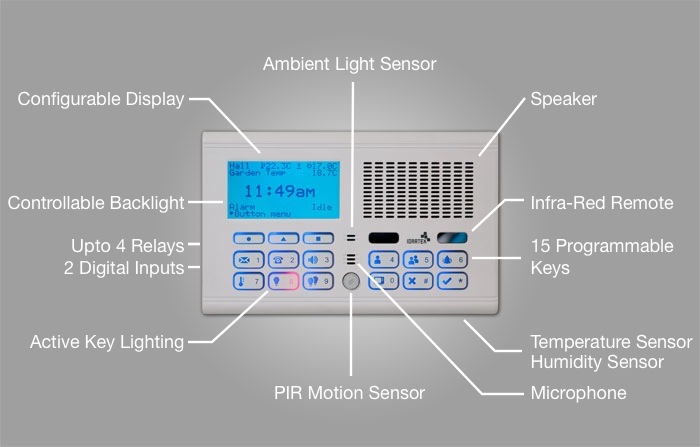 The integrated Infra-red transceiver has learning capability for most remote control handsets and can both recognise and generate most IR codes. This makes it easy to integrate your TV, Digital TV and Freeview and audio systems into your whole house automation system as well as allowing you to use your existing handset to control other functions. With 15 illuminated buttons and a 64×128 pixel backlit LCD display, the DFP-H02 makes it easy to control your automation system through a configurable menu system with shortcut buttons for common tasks. Finally, the DFP-H02 also integrates full audio support with microphone and speaker. 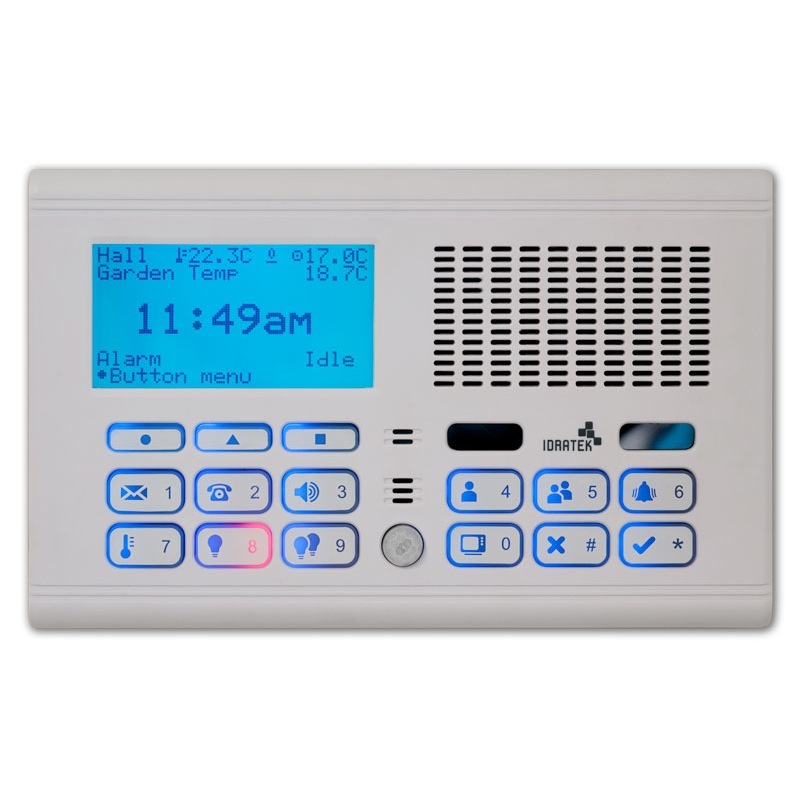 These can be used for room to room intercom, baby monitoring as well as spoken menus and status messages from the automation system. A datasheet for the DFP-H02 is available here.